To say that we have been critical of Alderman Tom Tunney's failure to take a public stand on the stripping away of our police officers and his years-long dismissal of community concerns about street crime would be a gross understatement. Today, we have a compliment to share. Before you get alarmed, this really, really is us. The blog has not been hijacked. A couple of days before Pride Sunday, 19th district CAPS officers distributed fliers to front doors of homes throughout Boystown. 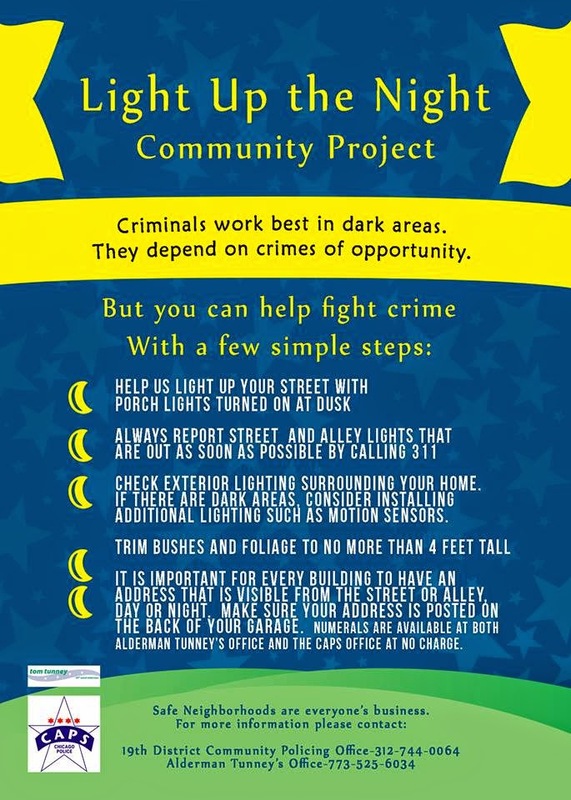 The fliers asked residents to keep their porch lights illuminated so criminals would be less likely to work in the area. criminals by leaving porch lights illuminated. 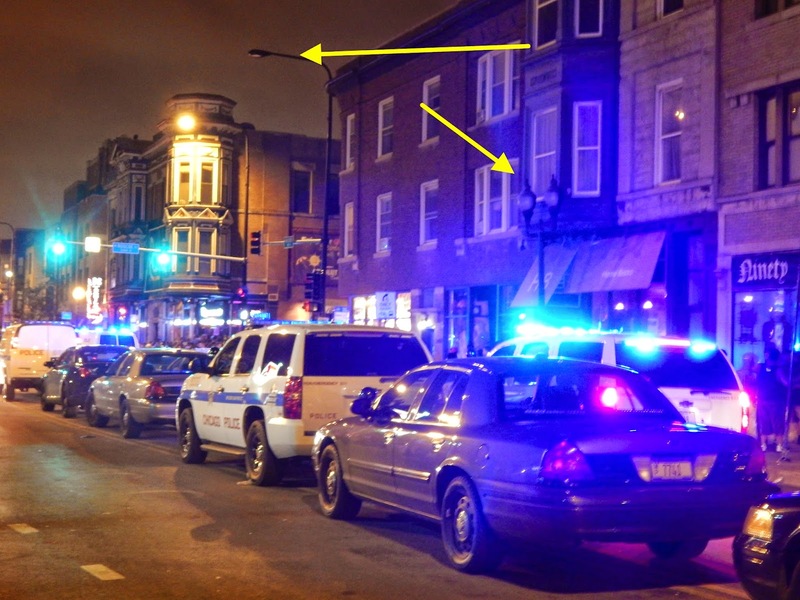 Given the apparent importance of porch lights to public safety, we were perplexed to find entire blocks of Halsted were without functioning streetlights during the mayhem that followed the Pride Parade. We sent Tunney's office an email and they had the lights fixed within a day. The next night, we found the street lights out on Halsted at Belmont. Again, Tunney's office had the problem fixed within a day. Wednesday afternoon, a reader who lives along Belmont Avenue emailed us to say that he reported a block of darkened street lights to Tunney's office and his report, too, had been quickly handled. We encourage you to report streetlight outages to the alderman's office. While we have some doubts about the effectiveness of porch lights in the grand scheme of things, street lighting is important. Thanks to Erin and the rest of Alderman Tunney's staff for their quick action on these outages.